Leaked order guides are awesome. 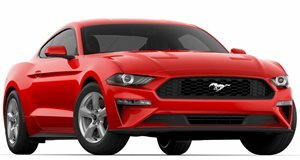 The facelifted 2018 Ford Mustang will arrive in dealerships this fall, and thanks to a leaked order guide posted on the mustang6g.com forum, we can see what Ford will offer buyers. Obviously there will be additional details to come (such as power figures for the EcoBoost and V8), but today we can confirm that five packages will be offered across both powertrains: EcoBoost Premium Pony Package, EcoBoost Wheel and Stripe, EcoBoost Performance Package, GT Performance Package and a Black Accent Package. Let’s start at the beginning. 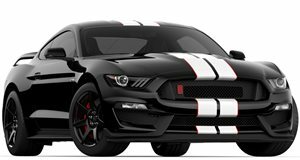 The Pony Package sounds like it has a retro attitude with a brightwork front grille, side stripes in either White or Ebony, Tri-bar pony logo, chrome accents and 19-inch polished aluminum wheels. The Wheel and Strip Package offers a new set of wheels combined with fender stripes in Silver or Ebony. The EcoBoost Performance Package features a new rear wing for coupes only, unique 19-inch wheel design, new chassis tuning and ABS settings, recalibrated stability control, a larger radiator and optimized sway bar. There’s also an external gauge pack for oil pressure and vacuum readouts. As for the GT V8, the new Performance Pack has many of the same upgrades as its EcoBoost Performance Pack counterpart. However, Ford has added staggered 19-inch wheels (255 up front and 275 out back) wrapped in summer rubber, 6-piston Brembo front calipers, heavy-duty front springs, strut-tower and K-braces, and unique rear wing and front splitter. The Black Accent Package offers Ebony Black painted 19-inch wheels, black decklid spoiler, black badging and painted black roof. But perhaps Ford’s most significant material upgrade is with the Carbon Sport Interior Package. Think carbon fiber in abundance, including carbon instruments, shift knob and even Alcantara seats and door inserts. We’re still waiting for official pricing, but the 2018 Mustang brochures should be available at dealerships very soon; orders begin later this month, after all.